SubGenre Magazine - Rock Music News and Beyond: PET THE PREACHER Confirm May 6th For New Album "The Cave & The Sunlight"
PET THE PREACHER Confirm May 6th For New Album "The Cave & The Sunlight"
Denmark´s PET THE PREACHER will release their sophomore album "The Cave & The Sunlight" with a special album release show at DesertFest Berlin on April 25th and on May 1st at BETA in Copenhagen! The North American release date is set for May 6th. 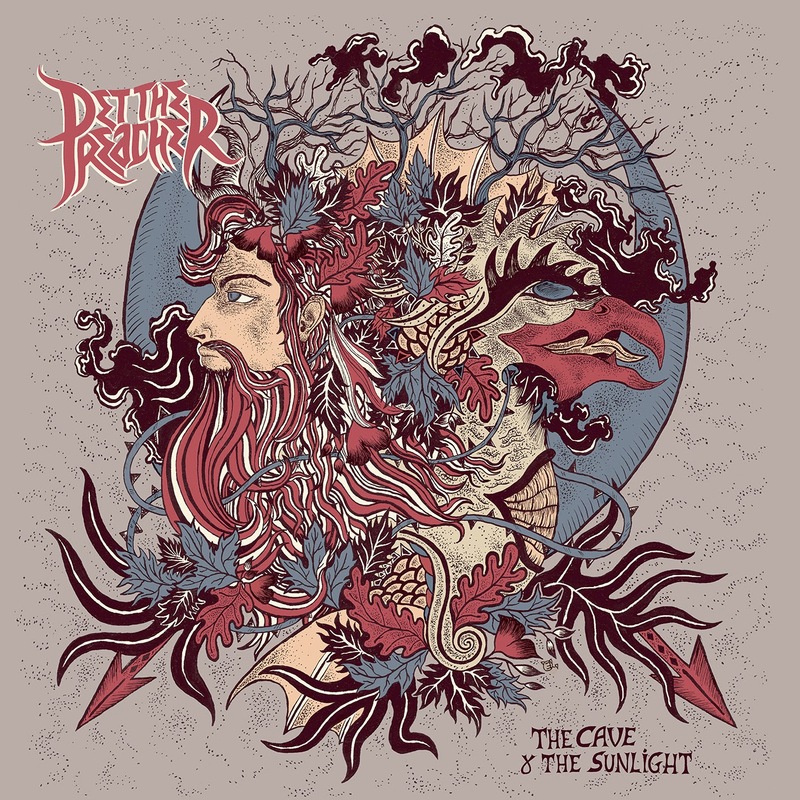 Today the band has unveiled the artwork and tracklisting for The Cave & The Sunlight. As a bonus, the band's outstanding 2012 Debut album, The Banjo will be made available for the first time on CD/Re-released on vinyl through the Napalm Records Webstore, in G/A/S & Denmark only! Talk is cheap, we know, but the The Cave & The Sunlight is definitely a "must have" Stoner/Blues Metal album and pre-ordering will start in the next couple days!